I make work that I am passionate about, and in doing so encourage the audience to interact and engage with it. Fun and inclusion are key principles of my work. 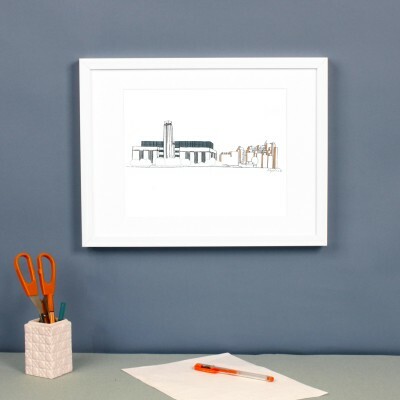 Kethi Copeland Produces beautifully hand crafted and screen-printed items including handmade books, art prints, cards and made to order printed furniture all are recognisable for their distinctive playful graphics. An equally important part of her practice is leading craft and visual art based workshops for members of the public of all ages. Designing and tailoring activities to the needs of the participants and institutions. Kethi Copeland has worked for: National Portrait Gallery, Kensington & Chelsea Libraries and has lead craft activities during Cockpit Arts Open Studios. 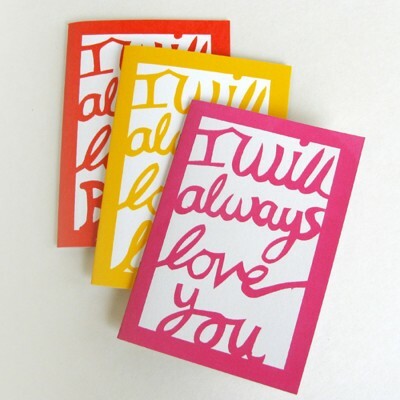 Kethi Copeland's stationery range includes notebooks, Sketchbooks, cards and prints, all featuring her bright and playful designs. 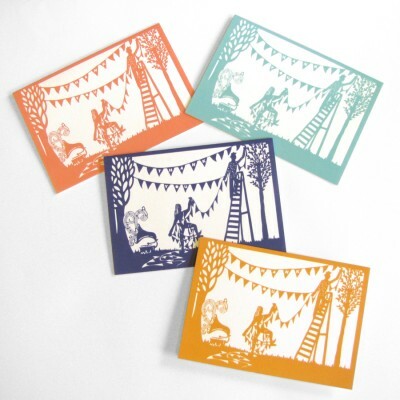 Inspired by both humour and music her stationery invites you to share in the fun. Kethi produces a range 'Make Your Own Hat kits' for children and the young at heart and runs Hat-making & paper-craft workshops. Kethi's original screen-prints capture the diversity of London's architectural landscape triggering personal memories and senses of the city.